Over the next five years, the annual global growth rate for the media and entertainment industry will be 4.2%, PriceWaterHouse Coopers estimates — slower that the predicted growth rate of global GDP. Revenue streams that have historically driven growth within the industry (like print advertising, music downloads and cinemas) are losing market share in the global economy as cheaper, more efficient digital mediums replace them, like digital advertising, music streaming and digital home video. Agencies report major losses, WPP — the world's biggest advertising agency and holding group — saw shares fall over 10% after it reported that ad spend for the remainder of the year is expected to drop due to political volatility in the U.K. and U.S. and economic volatility in key markets, like Russia, Brazil and China. Havas Group, another major ad agency, missed on Q2 earnings, blaming lowered ad spend from clients suffering from economic issues in emerging markets, like Brazil, Mexico, India and China. They also noted spending cuts in the consumer packaged goods (CPG) category — a big, industry-wide trend. 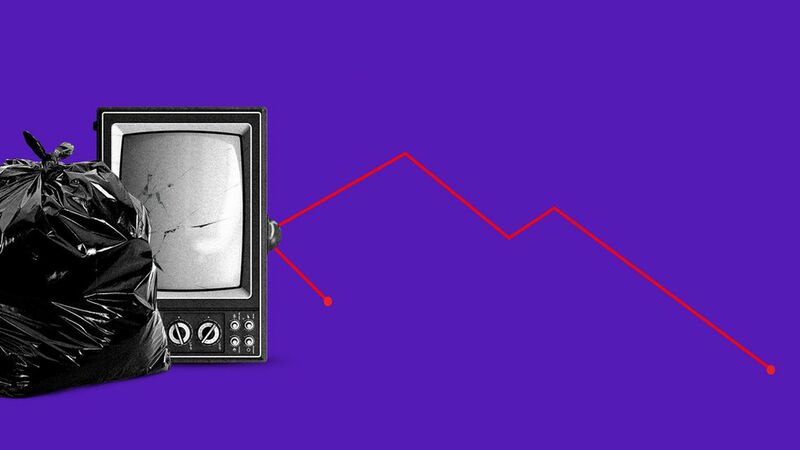 Traditional media continues to fall: Nine Entertainment Co., a major Australian TV network, posted a $160 million loss for the last fiscal year due mostly to a weak advertising market. (Worth noting: CBS announced it would acquire TEN on Monday.) On the movie front, box office revenue was down 70% this month compared to this time last year, as moviegoing in the U.S. continues to plateau.